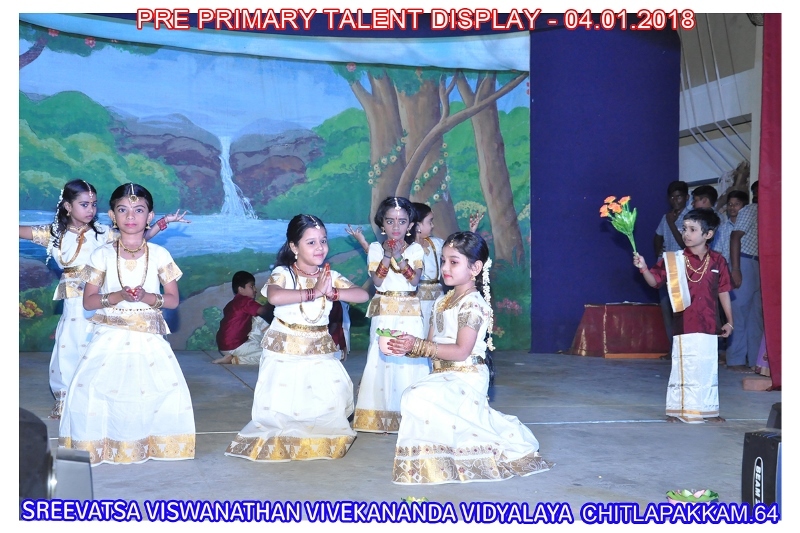 Two days are solely dedicated to bring out the talents of the lower primary and upper primary students. 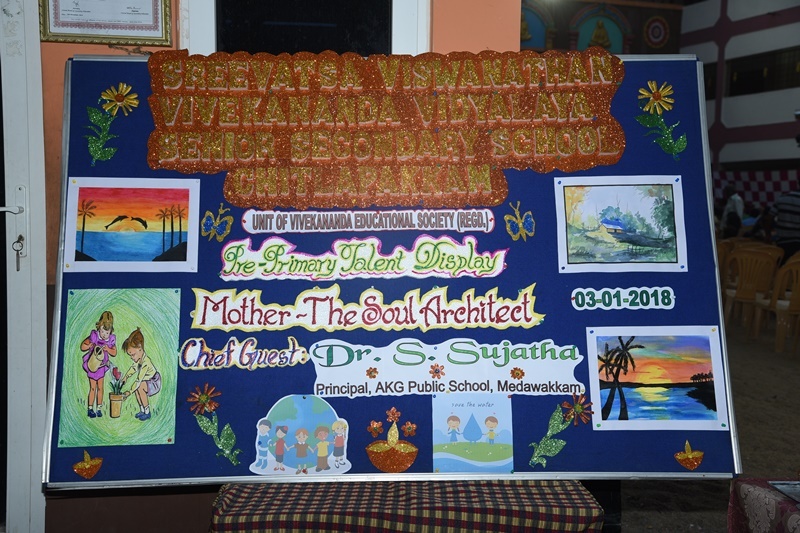 Hindu Mythology , Science, Literature, Leaders.. become the source of the programme. 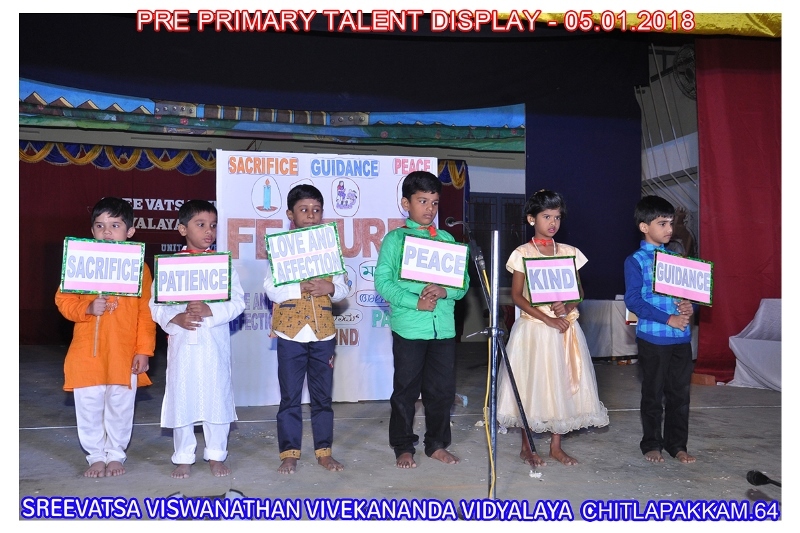 Every child is given an opportunity to exhibit his talent on stage. Invocation to God vibrates vigour. 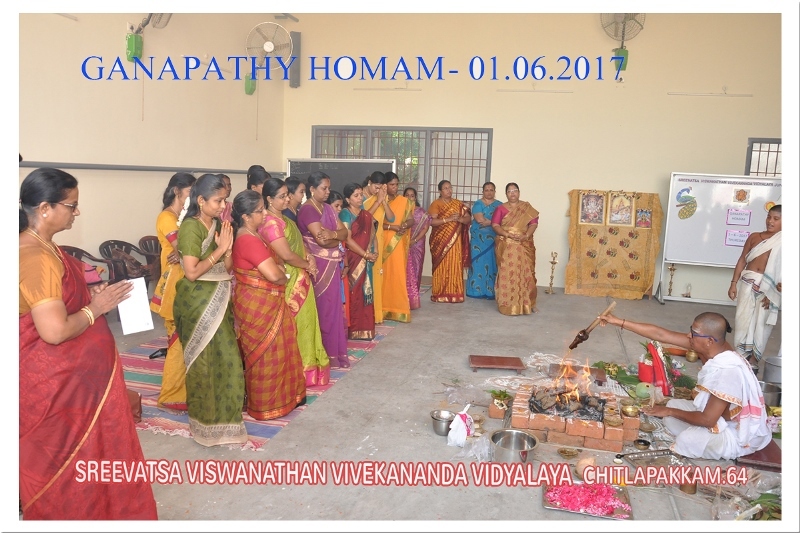 Every academic year is rejuvenated by performing Ganapathi Homam and abhishekam to Lord Vyasa Vinayaka ,the deity of the Vidyalaya. 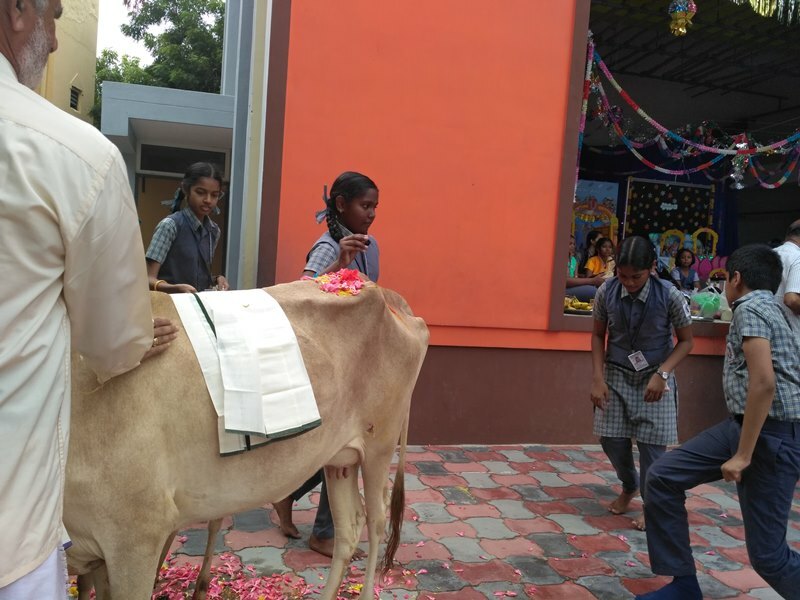 Gomatha also called as ‘Kamadhenu’ is an all wish satisfying cow of Heaven. 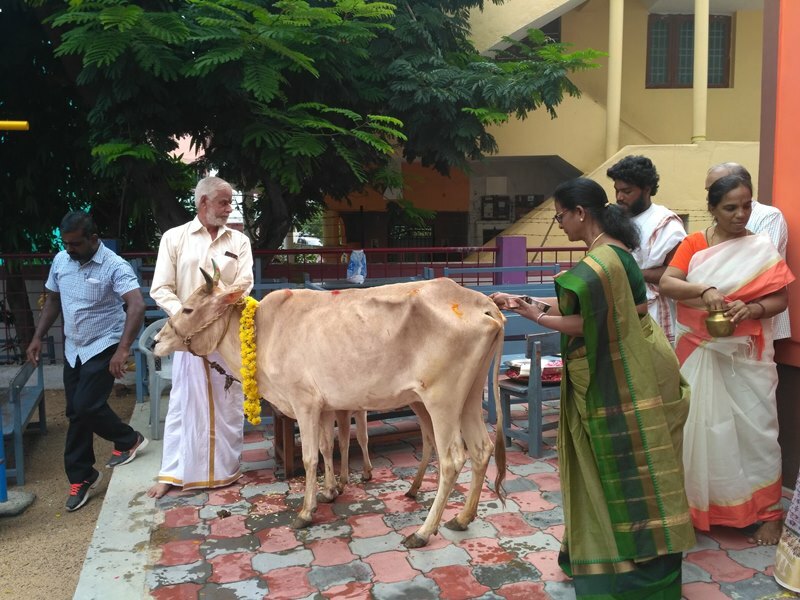 Worshipping Her along with Her calf named ‘Nandhini’ is very auspicious. As the name says, She plays the role of a mother giving enlightment of Truth, Wisdom and Prosperity. 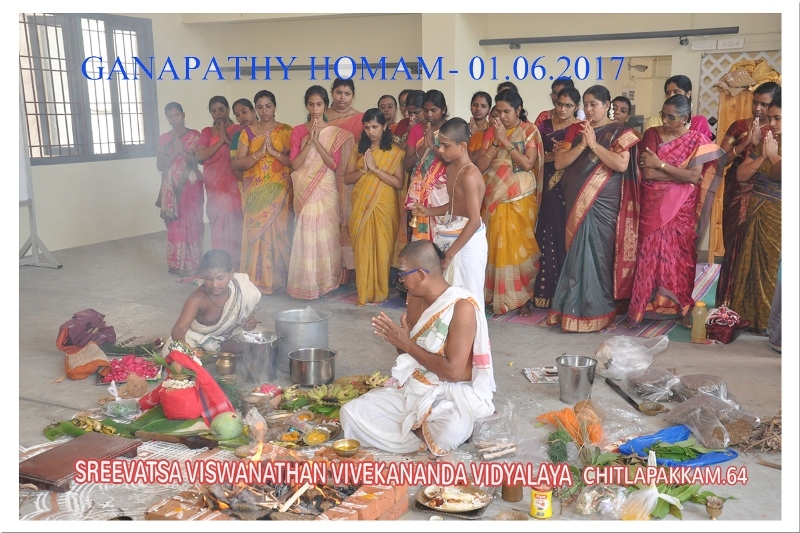 Gomatha pooja is performed in the vidyalaya on the last Friday of every month. 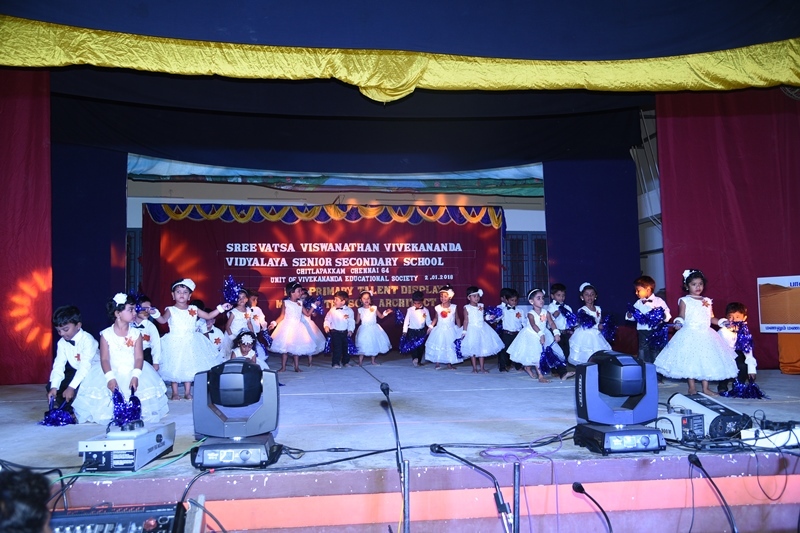 Parents and students ( class wise) are involved in the ritual worship. 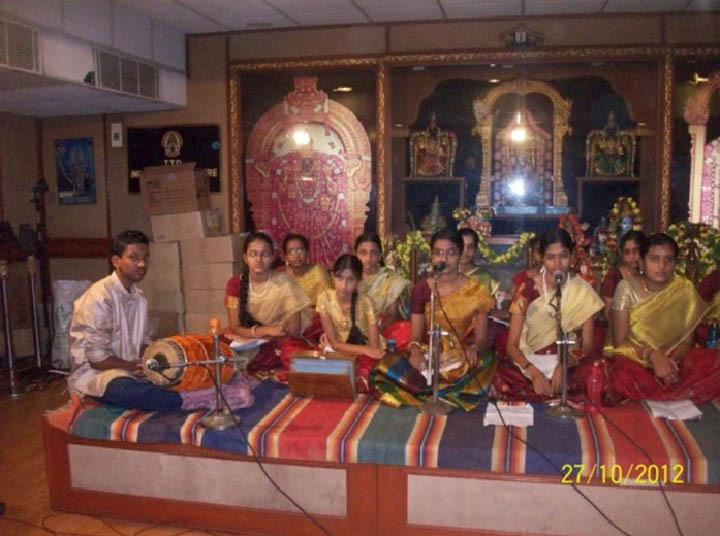 Bhajan is an authentic sharing from the deepest level of our existence. 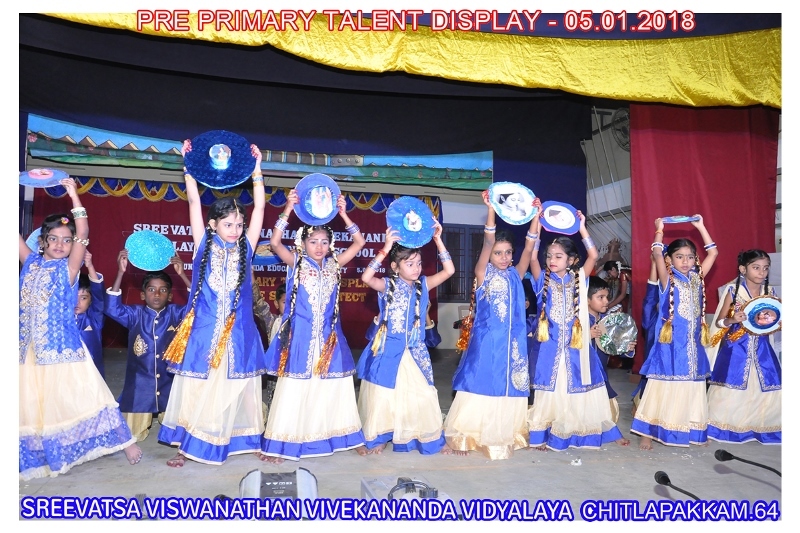 Students get wonderful opportunities to perform on various stages like Chinna Chinna Ragam and at Thirumala Thirupathi Devasthanam. To grow up to be a man of sheer achievements, the assembly is embellished with various resources. 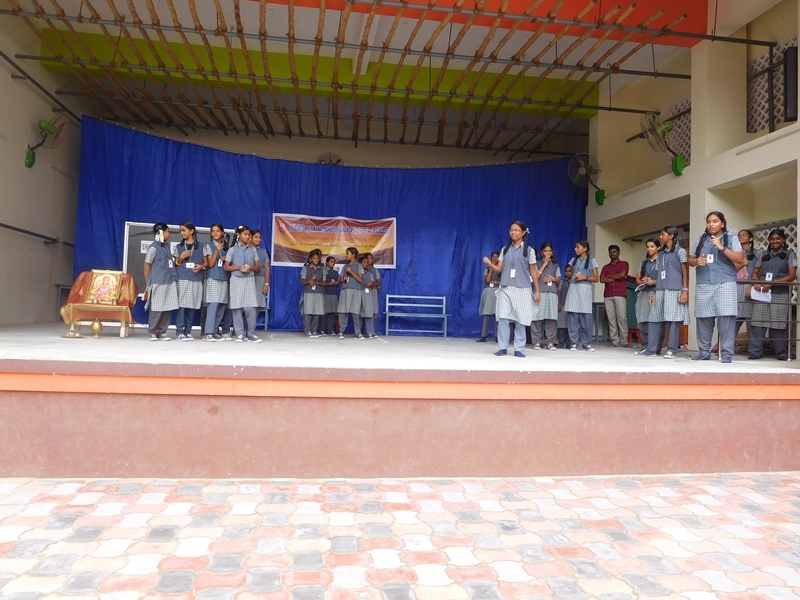 The students are provided with information on language and literature , current affairs, great personalities, important days, scientific facts, maths puzzles and so on. 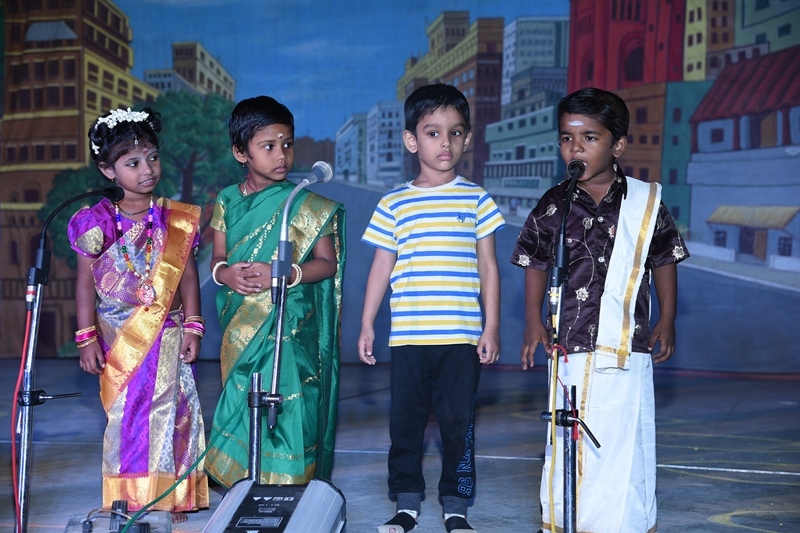 The students celebrating birthdays are given a platform to present their talents. 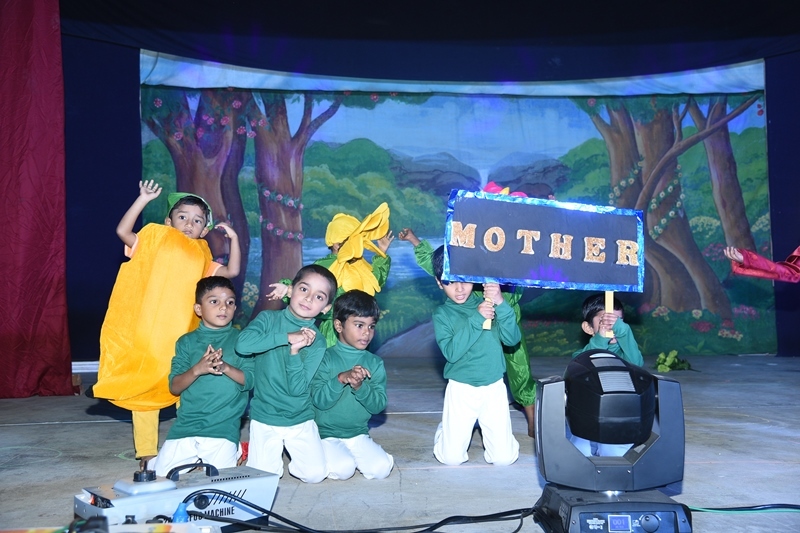 Camp – a pre-visit to familiarize yourself with the major features. Camps can positively impact your artistic bottom line in a variety of ways, to increase your effectiveness for the holistic development. To invoke the soul's natural qualities by creating an environment replete with auspiciousness and the abundant gifts of nature. 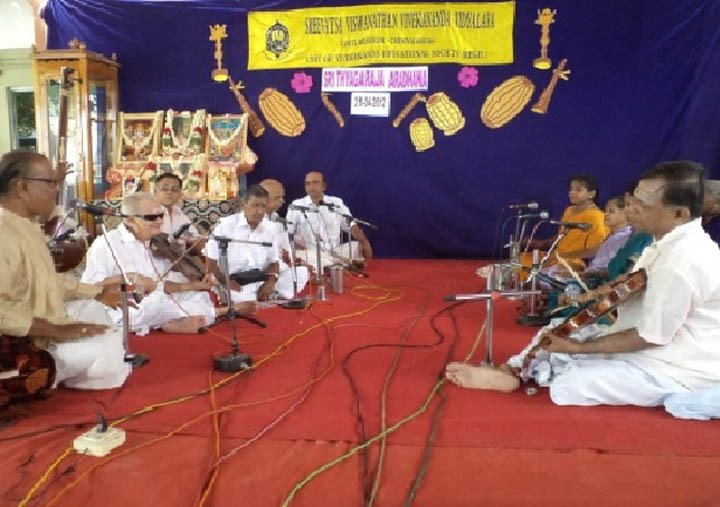 The Fine Art Music is revered with serene divinity.Thyagaraja Aradhana is performed every year in the school to seek the blessings of the Musical Trinity. To deliver the pious and to annihilate the miscreants, as well as to reestablish the principles of religion, I myself appear, millennium after millennium”. 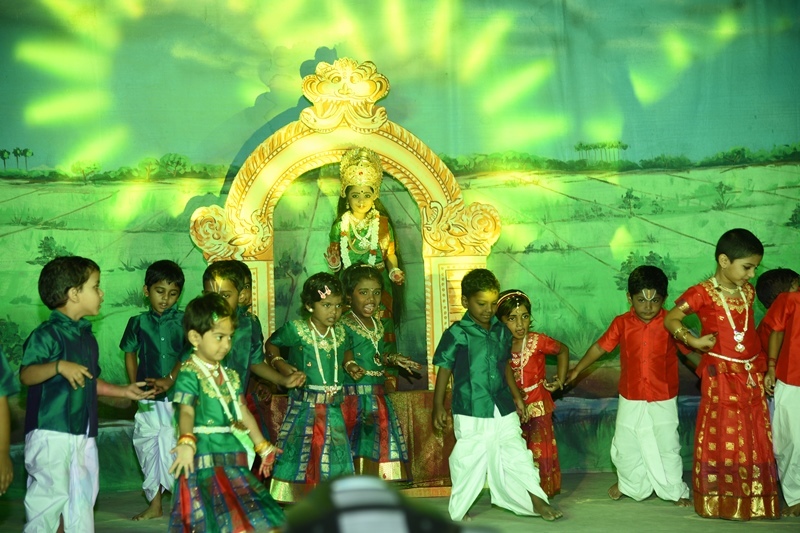 Lord Krishna, an embodiment of Love and supreme joy is adored every year in the school . 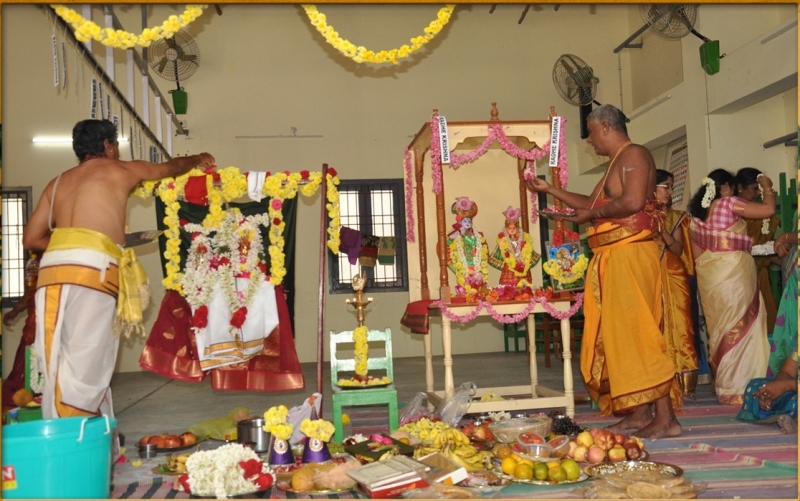 Radha Kalyanam is performed soulfully to promote spiritualism. To accomplish great things, we must not only act, but also dream; not only plan,but also believe.